Chaya Someswara Swamy Temple is located in Panagal village, Nalgonda district of Telangana, India. This temple was built during 11th&12th centuries by the Ikshvaku family. The temple got the name as it is believed that there is an everlasting shadow on Lord Shiva's Lingam in the main temple, all day. The Chaya Someshwara Swamy Aalayam in the Nalgonda district is an epitome of beauty, arts and spectacle. The temple got its name from its mystifying shadow or Chaya. This amazing temple, engineered by the Kunduru Cholas is accepted as Thrikutalayam. It testifies the fantastic creative thinking and flair of its architects. One of the temple's Garbhagudis, in the west and facing east, of the Thrikutalayam always witnessesa shadow and this mystery attracts thousands of visitors to this Temple. Chaya Someswara Swamy temple, Panagal is located at a distance of nearly 4 km from the district headquarters of Nalgonda. There are few small eateries near the temple. Nalgonda town close by offers more options for hotels. 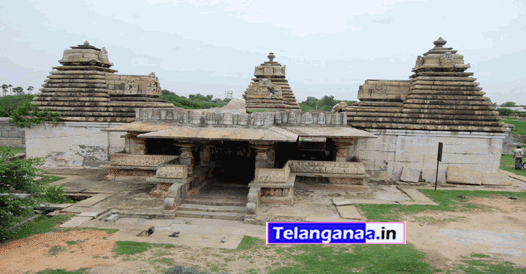 Nalgonda town close by offers budget hotels and deluxe hotel options for stay.